Organised in partnership with the Yale Center for British Art in New Haven, Conneticut, USA and the Paul Mellon Centre for Studies in British Art, this is the first major exhibition devoted to Wilson for 30 years and demonstrates the extent of Wilson’s influence throughout Europe, exploring his work in an international context. 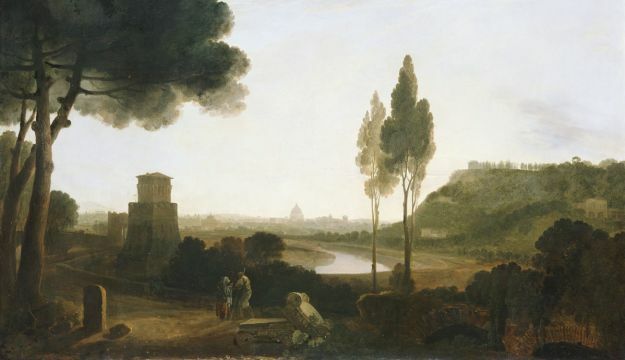 The exhibition focuses on the nearly seven years he spent working in Rome in the 1750s, a transformational period for Wilson and for European landscape art, before turning to his great landscapes and history paintings of the 1760s. The exhibition is co-curated by Robin Simon, Editor, The British Art Journal, and Martin Postle, Deputy Director of Studies, The Paul Mellon Centre for Studies in British Art, London with Oliver Fairclough, Keeper of Art, Amgueddfa Cymru – National Museum Wales, and Scott Wilcox, Chief Curator, Yale Center for British Art..
Richard Wilson and the Transformation of European Landscape Painting will feature many of Wilson’s greatest paintings and drawings. It also will include key paintings by earlier masters – Claude Lorrain and Gaspard Dughet, as well as works by Wilson’s contemporaries – Mengs, Francesco Zuccarelli, Charles Joseph Natoire, Joseph Vernet, Louis Blanchet, and more. Also presented will be pictures by many of Wilson’s pupils and followers, including the little-known artists Robert Crone and Adolf Friedrich Harper, both of whom studied with Wilson in Italy, as well as major figures such as John Constable and J.M.W. Turner. Born in 1714 in the village of Penygroes in Montgomeryshire, Richard Wilson was born into a well-established clergy family and went to London in 1729 where he trained as a portrait painter. He then travelled to Italy in 1750 where he decided to devote himself exclusively to landscape. Wilson’s pupils in Rome transmitted his style across northern Europe. Setting up in London after his time in Italy, he established a large studio and became successful with his Italian landscapes and applied the same classical compositional principles to English and Welsh views, as in his celebrated Snowdon from Llyn Nantlle. Wilson’s great success during the 1760s slipped away in the following decade, as there was less demand for his work and his health deteriorated. By the time of his death he was largely forgotten. However, within a few years his critical reputation began to revive, and by the early nineteenth century he was celebrated as a pioneering figure of the British school. His innovations in landscape painting were crucial to the development of the genre during the romantic period, which saw its greatest expression in the work of J. M. W. Turner and John Constable, both profound admirers of Wilson. “As this exhibition demonstrates, Richard Wilson, a towering figure in the cultural history of Wales, also had a profound influence on the future development of landscape painting in Britain, and in Europe as a whole, during the middle years of the eighteenth century. 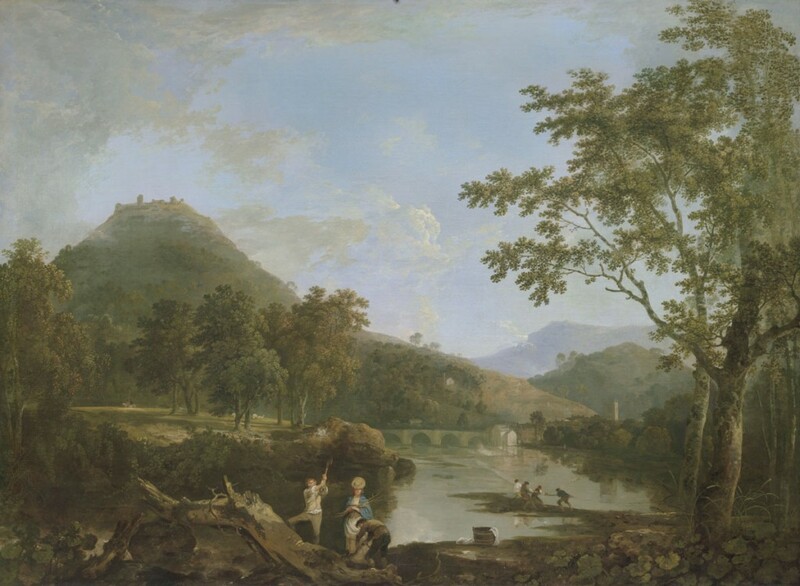 Minister for Culture and Sport, John Griffiths said, “I am delighted that the works of Richard Wilson, are being exhibited here at the National Museum of Art at the National Museum Cardiff. I am extremely pleased to see our national museum form such a fruitful partnership with international organisations such as the Yale Center for British Art and also the Paul Mellons Centre for Studies in British Art, London. I hope that many people across Wales take advantage of the opportunity to visit this exhibition to experience world class art. A special ‘Connoisseurs Tour’ will be offered to groups during the course of the exhibition. The in-depth study tour of the exhibition with its curator, Oliver Fairclough, Keeper of Art, will share personal insights into Wilson’s work and reveal how the show was selected and assembled. National Museum Cardiff’s exhibition and activity programme is supported by players of the People’s Postcode Lottery.